Back in the summer of 1976, Michael Petrasko and Muir Evenden met when they moved into the same neighborhood. They both developed interests in astronomy at young ages. Michael received his first telescope as a Christmas present at the age of eight. His interest in astronomy took off as soon as he got his first glimpse of the craters on the moon through his new instrument. A few years later, Michael's family relocated from Connecticut to North Falmouth, Massachusetts where he met Muir Evenden. Muir became interested in astronomy just after moving to Massachusetts from Colorado. Muir would take walks with his mother and their family dog around the neighborhood on clear evenings. Muir's mother had a background in science, so as Muir asked questions about the stars and constellations, she was more than capable of answering them. then pictured at Michael's wedding in October 2016. As Michael and Muir developed their friendship over the years, they became more interested and extremely active in amateur astronomy by fostering each others interest in the subject. They spent countless nights under the stars with the telescope's they acquired over the years such as Muir's classic Celestron 8" Schmidt-Cassegrain telescope and Michael's Edmund Scientific Astroscan 4.25" reflector. These portals to the universe provided them the opportunity to discover, observe, and memorize designations of many galaxies and nebulae. They would eventually become part of the original core group that founded the Cape Cod Astronomical Society back in 1985 when they were in their late teens. These two young men maintained their friendship after Muir moved out to the Southwest in the early 1990's to reside in Arizona. Michael would travel out there at least once a year where they would rent telescopes and take advantage of the clear, dry, and dark skies for observing. Shortly thereafter, Muir developed a passion for CCD imaging. He learned of a new imaging telescope that was coming out into the market. The telescope was pretty much made to order due to its proprietary and complex design. The telescope was a 16" f3.75 astrograph imaging reflecting telescope. Muir installing the mirror cell for the 16" remote imaging telescope hosted in New Mexico (right). The reality of having the telescope installed and hosted remotely would be costly. That's when they came up with the idea to rent out the telescope for educational and personal purposes after it has been installed. This would alleviate the costs and provide a service whereas one would not need to invest in such equipment themselves. There was also the issue of needing a mounting system, CCD camera and other accessories required to set up the remote robotic telescope. This is when Michael and Muir created and authored Insight Observatory's blog and social media pages. Through those marketing avenues, Michael was able to take on projects (with the help of friends and colleagues) like installing a new 11" Schmidt-Cassegrain telescope with a GOTO mounting system at the Kouhout-Dingley Observatory located at the Sacred Heart High School campus in Kingston, Massachusetts. After that project, they installed a remote robotic telescope observatory with an 8" Schmidt-Cassegrain telescope and CCD for an environmental science camp in Plymouth, Massachusetts. As Insight Observatory patiently waited for their own remote robotic telescope to come to fruition, Michael established a relationship with iTelescope.net. This is a network of remote robotic telescopes located in New Mexico, Nerpio, Spain and Siding Spring, Australia. Michael was able to develop projects for teachers and students with imaging the night sky with this telescope network. The same type of projects he envisioned and would someday take on with their own remote robotic telescope. Over the next 5 years, these projects would allow Michael and Muir to fund their dream. The remote robotic imaging telescope was installed in May 2017 at SkyPi Remote Observatory located at an elevation of 7,800 ft. in rural New Mexico. Michael and Muir then formed a corporation, Sublime Skies, LLC dba Insight Observatory in July 2017 with Michael holding the positions of Managing Member / Project Developer and Muir as Managing Member / Systems Engineer. 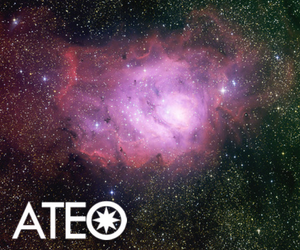 They designated their first remote imaging system as the Astronomical Telescope for Educational Outreach (ATEO-1). The telescope went live in October 2017 with its first educational use is a 5th grade class in Plymouth, Massachusetts.